Cisco will invest around US$574m in Brazil (R$1b) over the next four years, the networking giant announced today in the presence of high-ranking local authorities during the opening of its Cisco Plus event in Rio de Janeiro. According to the company, its investment strategy for Brazil will be built on four pillars: the opening of a Cisco center of innovation in Rio de Janeiro, a venture capital fund for Brazil-focused ICT and digital startups, the expansion of the local manufacturing program it started in 2011, and partnerships with local companies. As you can imagine, the purpose of these sizable investments is twofold. On one hand, Cisco wishes to continue benefiting from Brazil’s growth – over the last few years, Cisco Brazil has already been growing above 20% year over year, transforming the country into one of the company’s priorities. The fact that Cisco’s center of innovation will be based in Rio de Janeiro is yet another win for the city, which is set to host the 2014 FIFA World Cup and the 2016 Olympics. As a matter of fact, sports and entertainment will be one of the key areas on which Cisco’s center will focus. 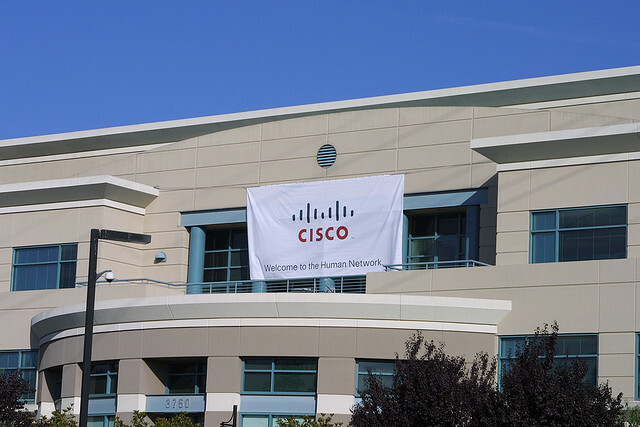 However, it will also develop local solutions for public safety, education, healthcare and urban development, with other segments such as oil and gas and SmartGrid/smart energy to be added in 2013 – Cisco expects to inaugurate the center in the second half of 2012. Cisco’s urban development offer, which the company calls “Smart+Connected Communities”, will come in addition to Rio de Janeiro’s existing ‘smart’ systems. As we reported, the city partnered with IBM to develop a high-tech, data-heavy Operations Center, with similar plans in the works at a state level. Education is certainly one of the best ways to make an impact on a country. As a result, several of Cisco’s initiatives will focus on this sector – through its center of innovation of course, but also with the expansion of existing corporate social responsibility and R&D programs. According to Cisco, its Cisco Networking Academy program has already trained over 100,000 Brazilian students since its launch in 1998; its training network currently includes 250 academies across the country, and approaches 25,000 students annually. While tech training is fundamental in most countries, it is even more important in Brazil, where “studies such as the Manpower Talent Shortage Survey (2011) and the Global Talent Index by Heidrick and Struggles, commissioned by the EIU (2011), indicate that Brazilian employers have difficulty in filling technical jobs due to the lack of certified individuals in technical disciplines,” Cisco notes. This led Cisco to partner with the local institution SENAC Rio to launch a new Workforce Transformation Program, which will benefit over 1,000 students in Rio interested in pursuing a career in networking. In other words, Cisco plans to generate 800 jobs and train 1,000 networking experts in Brazil as a direct result of its investments – and it is only a small part of much bigger hopes. While it takes more than one company and more than 1 billion Brazilian reais to build the future of Brazil, one thing is for sure: today’s announcement is certainly a good start.